Travel has become difficult in the oddest way. Ryanair will not only fly you anywhere, for next to nothing, but they will even be polite to you. Package holidays to Timbuktu, Machu Picchu, Petra et al mean Indiana Jones has to book his slot to discover ancient civilisations, but at least, under EU regulations, he is guaranteed compensation if his baggage goes missing. The problem isn’t getting somewhere, it is getting somewhere unusual that is becoming impossible. Modern adventurers must create special conditions to impress. Everest is old hat. Now you need a formation tap dancing team with pack Chihuahuas climbing Everest to have any chance of getting noticed. Tony Hawks’ trip “Round Ireland with a Fridge”, brilliantly summed up and parodied this trend in 1997, and the situation for adventurers has worsened since then. As an inventor, the obvious answer is to invent a new form of adventuring. And so AdVennTuring is born. Venn diagrams, those pointless interlocking blobs that only Maths masters could enthuse about, are the basis of #OWNF. 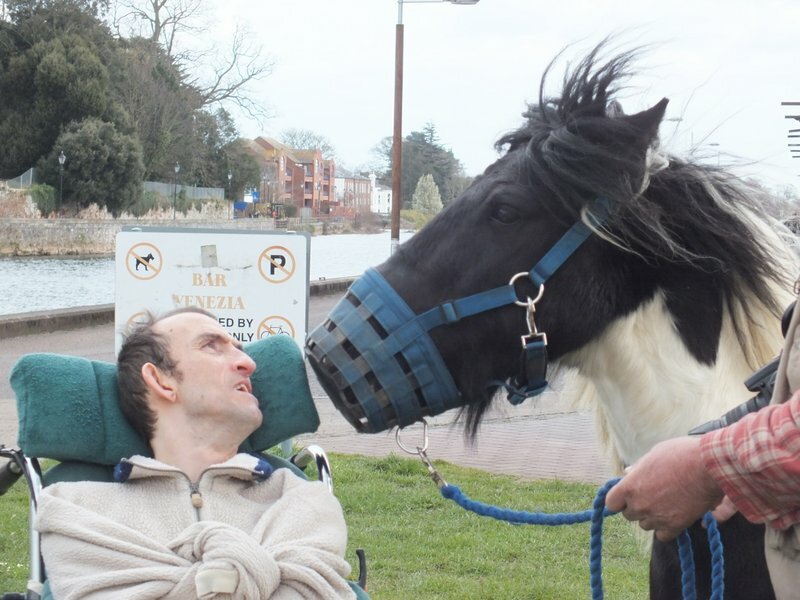 I have done tough travel, driving Obama in the Saddlechariot from Brecon to Birmingham and driving the early prototype of the wheelchair enabled iBex, from Exeter to Hyde Park, London. Both trips are briefly described here. http://www.mikaelstrandberg.com/2011/01/09/the-long-walk-and-simon-mulholland/ Both were done broke, with minimal equipment and less planning, camping on the roadside where we ended the day’s travel. 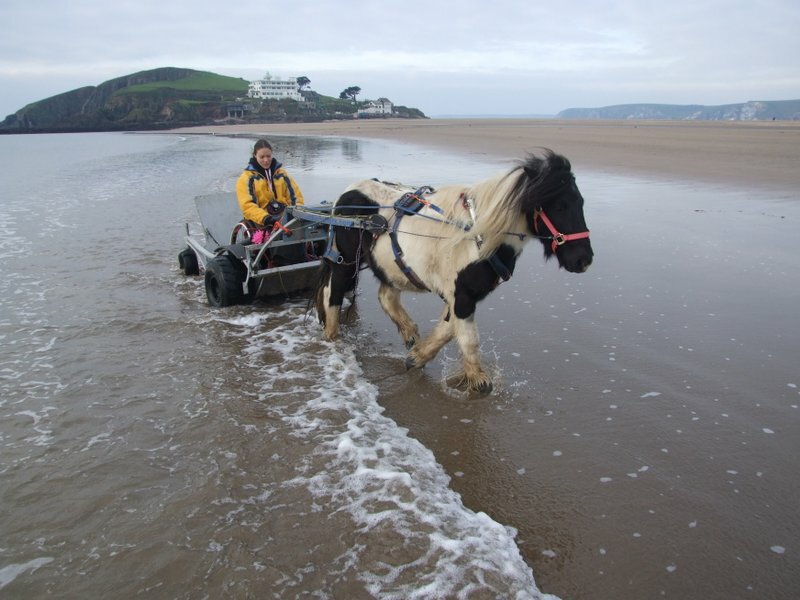 One Wheelchair, No Fridge, will show easy access for people with wheelchairs, to all the places between Exmouth and Plymouth, to show them Woodbury Common and the Castle, the river route through Exeter, the River Teign from Steps Bridge to below Castle Drogo, Dartmoor from Okehampton to Butterdon Hill and Ivybridge and on to Plymouth and around Central Park. Camping is a different issue. Camping for people who use wheelchairs adds new problems, and that fact that one person with certain medical issues can camp in a certain location, says nothing about someone with different medical issues. 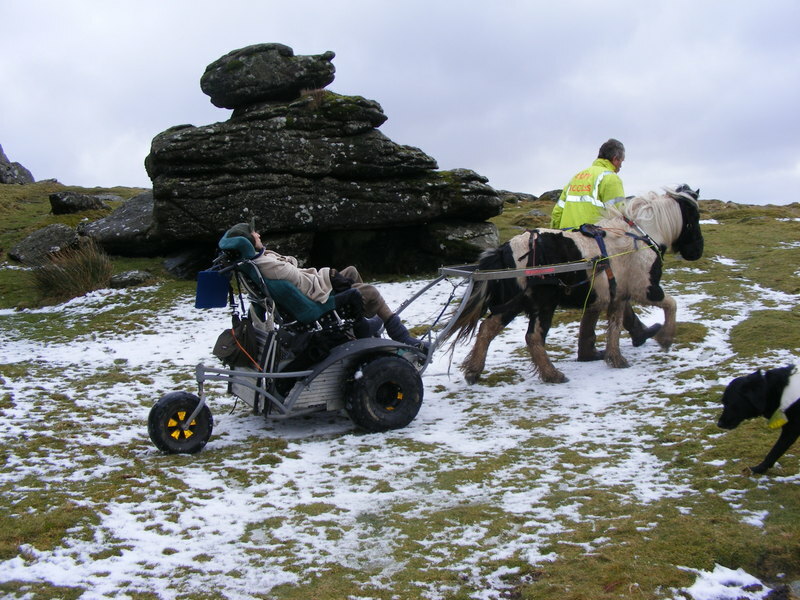 But the iBex, the wheelchair enabled vehicle that Pony Access uses, can take any person, in any wheelchair, across the same route. It is the route that matters, where I travel, not how far, not how fast. And a journey is not just about the ground defined by your footprints or wheeltracks. The Venn diagram defines spaces, and whether they are separate, touching or overlapping. My route map will show, not just the wheeltracks, and the idea is to form a series of contiguous loops. I will have driven the whole route in a wheelchair, just not in an unbroken line. Each days journey will start from my van, go back to the furthest point reached so far, and go on as far as I think, fun, or possible or interesting, and then back to the van, either to camp for the night, or return to base so Obama can rest in familiar surroundings and I can catch up with life. And there is a second Venn diagram, of the places we can see. 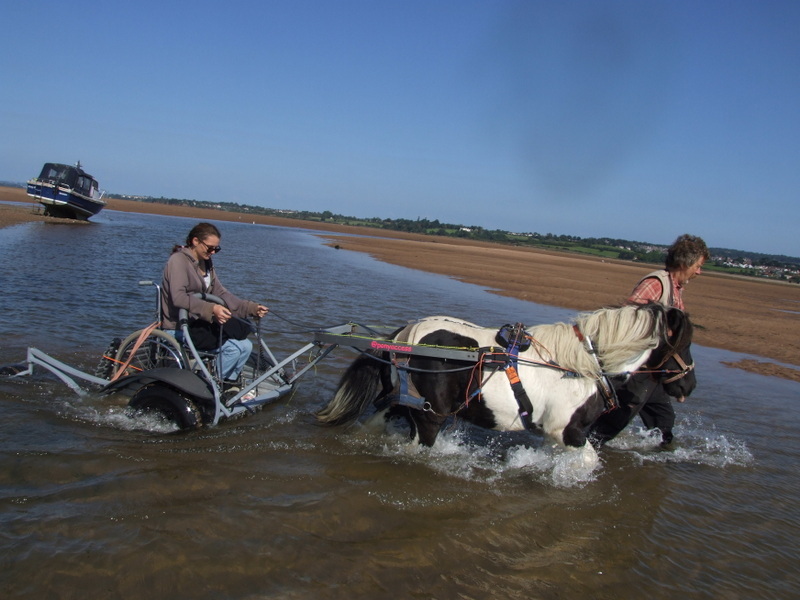 From the Exmouth Estuary you can see across the water or mud and sand to Starcross and over to Haldon Hills and the Belvedere. As we cruise through Haldon Forest, we will look back over the Estuary. At the end of the journey, the Venn diagram of views will cover an enormous swathe of Devon and from the top of Dartmoor, over into Cornwall and possibly up to Somerset. AdVennTuring opens up spaces to everyone. It isn’t macho, tough, look at me Ramboing across country, living off the land, killing my supper, and getting the makeup department to plaster me with enough mud to show how tough I am, but not enough to hide my manly looks, type of adventure. 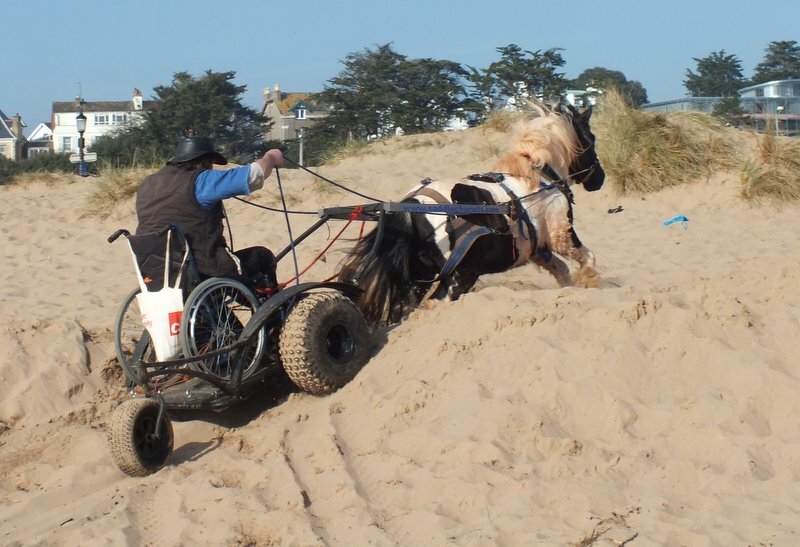 This is about showing that the countryside is accessible to anyone. It is all about access for people, and that includes people who use wheelchairs. This is an adventure in Inclusion. Everyone can do it. Not just me. That’s the bloody point.